Get access to live Formula 1 racing in HD today! Despite the undeniable excitement of motor racing, only one competition has ever really managed to properly work its way into the UK psyche: Formula 1. 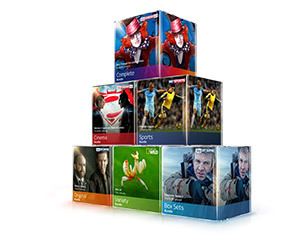 Welcome to Broadband Genie’s page dedicated to F1 on TV, and the packages that let you access it. As we’ve come to expect with Sky, there’s no half measures when it comes to taking over TV coverage of a new sport – and it has been no different with Sky Sports F1. If you love motorsport, this is a must-have channel. And since it's available on various TV packages (not just Sky TV deals) you've got plenty of choice. For more information about Sky Sports F1 and how to get it, read on. Or to start comparing TV deals which include Sky Sports F1 use the comparison table below. 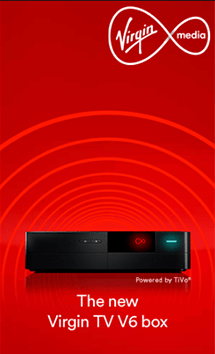 A simplistic box to use - enables you to pause and rewind live TV, including up to 80 channels. The choice of a 1 month contract is available, alongside other contract lengths. If choosing the 12 month contract, the price is fixed and guaranteed for the year. Sky Sports F1 packages: What do you get? 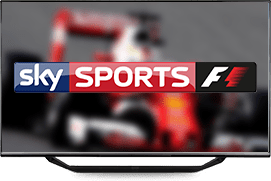 The channel is available in both standard and high definition (through Sky sports F1 HD) HD, with races also being shown in ultra HD (UHD) from 2017. You’ll get full live coverage of all the practise and qualifying sessions as well as the races; plus coverage of support races such as the Porsche Super Cup. What is F1 Race control? One of the big pluses for F1 fans when Sky took over was the introduction of Race control: a multi-camera system that put the viewer in control of the race experience by letting them choose which cameras to follow, including individual cars, pit lane, timing screen and driver tracker. From the 2015 season, Sky Sports F1 limited Race Control to its red button service and the Apple iPad app. Races can also be watched on the go thanks to Sky’s Sky Go app for Android and Apple devices, if you’re a Sky subscriber. How do I compare Sky Sports F1 deals? The most common (and arguably best) way to experience Sky Sports F1 is via one of the many Sky TV (and, optionally, broadband) offers. Deals with Sky Sports bolted on aren’t the cheapest, but remember you get the full Sky Sports experience: all the football, cricket, rugby and golf you could want from your armchair. But you can also find Sky Sports F1 deals on other platforms. Virgin Media, BT and TalkTalk offer sports bundles that include the channel, while all of Sky Sports’ channels are available to buy on a month-by-month basis through NowTV (not cheap, but convenient – and you can cancel as and when you like). How do I sign up for a Sky Sports F1 package? If you’ve set your heart on a Sky Sports F1 subscription, check out our handy comparison table above. 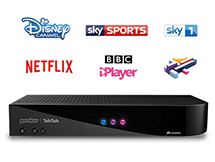 Here you can compare all the best prices from the UK’s leading broadband and TV providers – as well as being able to click through to our other guides for full reviews of exactly what’s on offer from each.